Ok, you got a little peek inside Scratch. Before we go further, let's talk SPRITES! 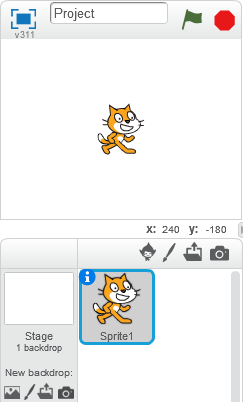 Sprites are the characters/objects that perform actions on the Stage of your Scratch projects. While the Stage can also be programmed in a project, most projects have at least one sprite as well because only sprites can move. An image of a sprite appearing on both the stage and the sprite list. Lets SCRATCH! 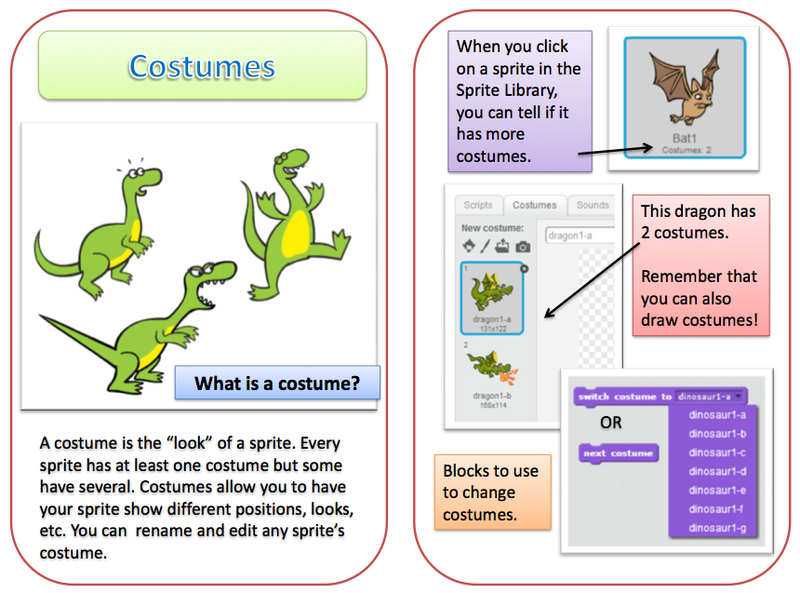 In this ABLE you are going to create your own sprite. Did you explore both BITMAP and VECTOR modes of the Paint Editor? Each mode has its benefits, when do you think you would choose one mode over the other and why? How about creating some additional costumes for the Sprite you created, So you will have 4 costumes: Front, Back, Facing left, and Facing right. What's a costume? Take a look at this Scratch Card below.